POLICE have warned that vandals who attack speed cameras are risking their own lives. The warning has come following the removal of another two cameras from their mountings on the A68 at the weekend. The cameras at Huntford and Camptown, the first two on the Scottish side of the Carter Bar, were attacked on Saturday night or Sunday morning. This brings the total number of cameras on the A68 which have been attacked with a saw to six. 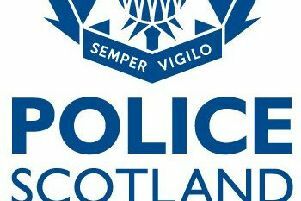 Superintendent Denise Mulvaney from Lothian and Borders Police said: “It is extremely disturbing that there appears to be a systematic campaign of violence aimed at safety cameras. “The method used to attack the cameras is highly dangerous, the people responsible for these actions are putting their own lives at risk as well as the safety of others. Anyone with information is asked to contact police on 101 or Crimestoppers. Full story and reaction in this week’s Southern Reporter.